Piercing the fog of cyber security. When Satoshi Nakamoto published his seminal paper called Bitcoin: A Peer-to-Peer Electronic Cash System in October 2008, he started what is arguably the first viable cryptocurrency. 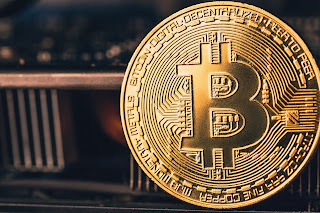 Bitcoins have steadily increased in value from its inception to today where one bitcoin is worth some $6,500 and its success has encouraged the development of some thousand other cryptocurrencies. But it begs the question, how does an electronic string of digits contain any value at all and why do the 22 million Bitcoin practitioners in the world today think this is so special? To answer the value question, you have to remember why any currency system has value. The U.S. dollar has value because we all agree that it does. Bitcoins have value because 22 million Bitcoin practitioners have faith that it does too. Bitcoins are also scarce meaning that there is a finite number in the world. This has a contributing affect to why bitcoins have increased in value. To answer why Bitcoin is special, you have to consider how current monetary systems work. They are mostly managed by a central authority whom practitioners have to trust will do the right thing in terms of processing transactions, exposing fraud and keeping the privacy of their customers secret. Cryptocurrencies decentralize this process in a peer-to-peer electronic distributed system that uses transparent math to establish trust. Two underlying technologies make this work: public key encryption and blockchain. Public key encryption allows the system to guarantee that a transaction between two parties is legitimate and cannot be forged. Blockchain is a transparent ledger that everybody can view but is so computationally expensive to alter that fraud is practically impossible. The blockchain technology has worked for digital currency but this evolution in decentralized consensus systems might have other applications like decentralized cloud storage systems, smart contracts, voting systems, and loyalty programs. Developers can apply the blockchain technology to really anything that involves electronic transactions and investors are pouring money into companies that are pursuing these ideas. A String of Digits is worth $6,500? Cryptocurrency in general, and Bitcoin specifically, have been in the news for over a decade. But since all Cryptocurrencies including Bitcoin reside on the internet, and the underlying blockchain technology uses a lot of math, and cyber criminals adopted it early, many of us feel like the entire thing is a bit of a mystery and, perhaps, might be a tad illegal. I barely understand how the internet works in the first place and now I am expected to get my head around a viable alternative money system that has no central authority, doesn’t really exist in the physical world, and yet has the unique property that one digital coin, a long sequence of electronic digits, is worth well over $6,500? I decided to see if I could open this internet-currency-black-box to see if could shed some light on it. Lets begin with why a bitcoin has value. In order to understand that, you have to understand why any money has value. If you want to engage in a dash of existential crisis fun, try this on for size. Money has value because we all agree that it has value. Let that sink in for a while. The reason that a U.S. hundred-dollar bill is worth a hundred-dollar’s worth of goods and services is that everybody in the world believes that it does. On face value, it is kind of silly. A piece of paper with the number “$100” printed on it allows me to exchange that piece of paper for a giant steak dinner at a fancy restaurant in Las Vegas. It is kind of ludicrous when you say it out loud like that. If tomorrow the entire world decided that paper money wasn’t worth anything and instead, giant cremini mushrooms had all the value, we would all be toting around bags of tasty mushrooms to exchange for our steak dinners. Thank goodness we all agreed on paper as the way to go. There are lots of economic reasons why this works though and I will not get into them here, but the bottom line is that we all agree that paper money is worth something and that makes the world go around. As with paper money, Bitcoin has value because everybody that is a member of the Bitcoin network believes that it does. There are currently some 22 million libertarian, free-thinking, privacy advocating, crypto-heads that do. But Bitcoin is just one example of a digital currency. It is arguably the most successful but there are literally over a thousand digital currencies trying to become popular. All of them though rely on two underlying technologies: public key encryption and something called the blockchain. Public key cryptography sounds scary but let me try to simplify it. Back in 1976, Whitfield Diffie and Martin Hellman proved that they could use “math" to generate two long strings of digits called public and private keys or key pairs. The interesting property about the key pairs is that you can’t derive one key from the other. In other words, if you have one, you can’t use “math" to derive the other. It is mathematically impossible. With the key pairs though, you can perform two powerful tasks: encryption and signing. For encryption, your mom can encrypt a message to you using your public key that only you can decrypt with your private key. In practice, you can broadcast your public key to everybody in the world. Anybody can use it to encrypt messages that only you can decrypt. You may have seen one or two public keys in your email and didn’t realize what they were. If you have ever noticed a bunch of random letters appended to an email message that starts with ——BEGIN PGP PUBLIC KEY, that is somebody sending you their public key. For signing, the idea is similar only in reverse. Your mom can sign a message to you using her private key and you can use her public key to verify it is from your mom. In other words, you can be absolutely certain that the message you received is from your mom and not some internet scammer trying to bilk you out of some money. With the Bitcoin system, when I want to send a bitcoin to my mom, I use my iPhone app to send one bitcoin to her by using her public key, verifying the recipient of the transaction, and signing the transaction with my private key, verifying that I authorized the transaction. There is a lot more going on under the hood, but that is the general idea. At a high level, blockchain is not that hard to understand. It is essentially a transparent ledger that all users of the digital currency can review. The technical specifics on how this is done is a little different for every digital currency but the general idea is the same. With the Bitcoin system, every Bitcoin practitioner has a copy of the ledger for every bitcoin transaction that has ever occurred. The system has complete transparency. It is also almost completely anonymous. Members of the Bitcoin practitioners network do not know exactly who did each transaction. They do know that two unique parties made the transaction, the value of the transaction, and when the system completed the transaction. If I want to send a Bitcoin to my mom, I use an app on my phone to start the transaction. In the mean time, all the other Bitcoin practitioners are doing the same, initiating transactions to move bitcoins from one member to another. The system collects all of these transactions into a transaction block roughly every 10 minutes. The system wraps the transaction bloc into a computationally intensive math problem and hands it over to a collection of Bitcoin “miners.” The miners collectively agree that the problem is complex enough to be fair to all miners and begin working on solving the math problem. The miners then compete to solve the math problem quickly. When a miner solves the problem and allows the other miners to check her work, the block of transactions becomes official and the system adds the block to the chain of previous blocks and distributes the chain to the Bitcoin practitioner network. The blockchain process seems convoluted but there is a purpose. To prevent fraud, the complex math problem that the system generates is dependent on the data from the previous block.The math problem for that block is based on the block before it; on and on to the beginning. If a Bitcoin practitioner wanted to secretly subvert the values in the transaction chain without anybody knowing it, say instead of receiving 1 bitcoin from a transaction they wanted to receive 1,000 bitcoin, they would have to solve all of the math problems from the block they want to change up to the current block in the time it takes the miners to solve the current math problem. If they fail, the resulting blockchain the fraudsters would have at the end would be different than the chain that all other Bitcoin members are working with. It would be worthless. I know that sounds like a lot of computer mumbo jumbo but trust me, there is not enough computational power in the universe to accomplish this feat. Why Does Bitcoin have Value? Like I said before, Bitcoins have value because the members of the Bitcoin practitioner network have faith that they do. The network has faith that these little collections of digital digits can be used to exchange for goods and services in the real world. One contributing factor to that faith, and perhaps why the value of a single bitcoin has steadily increased since the system’s creation in 2008, is that bitcoins are scarce. Like other rare items in the real world that have value— diamonds, copies of the first Superman comic, white truffles, Iranian Beluga Caviar, Rhino Horns, and Heroin — they are not easy to get. The father of the blockchain idea, Satoshi Nakamoto, declared that there should not be an endless supply of digital currency. That would make the system worthless. Think in terms of the paper money supply in the U.S. The leaders of the the U.S. Federal Reserve control the money supply. They try to control for interests rates and inflation. If their actions created an endless supply of paper money, they would be feeding inflation. Digital currencies are not immune to these inflationary forces. By design, the Bitcoin system will only create a total of 21 million bitcoins ever and it only creates a handful of new bitcoin every time a new block is added to the chain. When the Bitcoin system came on line back in 2008, it added 50 new bitcoins to the market for every new block added. For every 210,000 blocks added since inception, or roughly every 4 years, the system will decrease the number of bitcoins added by half. As of July 2017, the bitcoin system released 12.5 bitcoin for every block added to the chain. The system is expected to reduce that number to 6.25 coins by 2020. The bottom line is that things that are scarce have value and bitcoins are scarce. Why do Bitcoin Miners Do the Work? When the system produces new bitcoins for new blocks added to the chain, who gets them? The miners do. As an incentive to do the computational work, the miners that solve the math problem for a particular block gets the bitcoin that the system produces. In the early days, mining was comparatively easy. Early miners had enough horsepower on their home computers to solve the mathematically complex problems themselves. When they did, they each received 50 bitcoin. Back then though, bitcoins were not worth that much. Today, no single user can hope to have enough computational power to solve a particular block in enough time to compete with the other miners. These days, mining is done by mining pools, collections of users working on the same problem, or big conglomerates. Mining pools and companies use specialty hardware specifically designed to use less power and to solve these kinds of math problems. At least some of these conglomerates are making money. A handful made between $70 Million and $100 million annually. This is a good thing. The more miners we have, the more organizations we have checking the work of all the other miners. It keeps everybody honest and it goes to the notion of how trustworthy is the system. Blockchain solves the problem that if you have no central authority keeping everybody honest and knowing who everybody is, how do you trust the other side of the transaction when you are most likely transacting with people whom you don’t trust? How do you have faith that if you give a bitcoin directly to another person or system that you will get an equal value returned to you? Satoshi Nakamoto invented what many scientists feel is the next evolution in distributed computing: consensus. In the early 1980s, early attempts at consensus computing needed all members of the network to be in allegiance with each other. Nakamoto’s system assumes that they are not and guards against it. According to Morgan Peck, Nakamoto replaced the allegiance system with mathematical confidence. It is no wonder that cyber criminals adopted it early as a form of payment. In her Ted Talk about blockchains in 2016, Bettina Warburg said, "As humans, we find ways to lower uncertainty about one another so that we can exchange value.”  The blockchain is how we lower uncertainty with digital currency. The big problem with Bitcoin is scalability. As more and more people join the network and start initiating transactions, the time it takes to complete a transaction has gone up; sometimes taking days or weeks instead of minutes. In July 2017, some members of the bitcoin network forked off their own version of Bitcoin, called Bitcoin Cash, because they wanted a faster system and disagreed with the Bitcoin community on how to fix it. Their version has larger blocks in the blockchain in attempt to create faster transaction speeds. Another group forked off their version on 24 October 2017. Their version is called Bitcoin Gold and it attempts to lower the math complexity required to solve for each block so that miners do not have to belong to large miner pools or be owned by a large consortiums. Blockchain Technology: What Else Can It Do? Whether or not Bitcoin succeeds, or any other digital currency that uses blockchain as the underlying technology, remains to be seen. It is still early in the game. But you can see where a technology like blockchain might be useful in all kinds of arenas where people and corporations and governments have to officially transact with each other. Venture capitalists are pouring money into startups that are trying to build decentralized cloud storage systems, smart contracts, voting systems, and loyalty programs to name a few. When Satoshi Nakamoto published his seminal paper in October 2008, he changed the world in the domain of consensus building in distributed systems. Instead of insisting on mutually agreeable allegiance to keep the distributed system going, he assumed that nobody would trust each other and kept all members honest by inventing a system of mathematical confidence. The result was a cornucopia of cryptocurrency digital systems, over a thousand online today, that use two underlying technologies: public key encryption and blockchain. At a high level, they are not too difficult to understand. With Bitcoin specifically, the system uses public key encryption to guarantee that a transaction between two parties is legitimate and uses blockchain as a transparent ledger so that all members can independently check that the system has not been tampered with. Nakamoto specifically designed scarcity into the system. 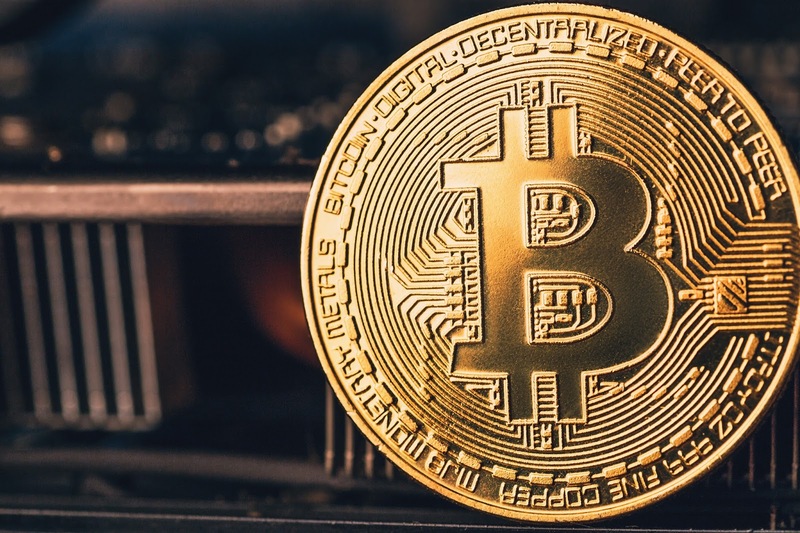 In other words, bitcoins are hard to come by and that design principle may be one of the reasons that the value of bitcoins have generally increased since the inception. As with all monetary systems though, bitcoins ultimately have value because there are people who have faith that they do and are willing to invest their own money to reap the rewards. One offshoot of the cryptocurrency evolution though is that there may be other uses of the blockchain technology for other kinds of transaction systems and many investors are pouring money into these potential uses. In the original white paper that explained the underlying technology to most modern-day cryptocurrencies but especially Bitcoin, Satoshi Nakamoto is listed as the author. The white paper is titled Bitcoin: A Peer-to-Peer Electronic Cash System. The thing is, nobody knows who the researcher is. He or she has never appeared in public and only communicates via email or in public forums. The last time anybody has heard from Nakamoto is in April 2011. As far as anybody can tell, “Satoshi Nakamoto” is a pseudonym. It may represent one person or a collective. Wired magazine quotes one Bitcoin developer named Laszlo Hanyecz, "Bitcoin seems awfully well designed for one person to crank out." In 2014, Newsweek wrongly pointed to a 64-year-old Japanese American named Dorian Prentice Satoshi Nakamoto who has denied the attribution. An Australian named Craig Steven Wright claimed the name but researchers have since shown that Wright submitted false evidence to back his claim. Researchers from Aston University attribute the author to be Nick Szabo based on writing style comparisons (Stylometry) from the original paper and Szabo’s public writing. Nakamoto gives credit to Szabo in the original paper for a precursor cryptocurrency to Bitcoin called Bit Gold. It is rumored that the NSA has done their own writing analysis and knows who the author is but they are not saying. Nakamoto may be the person who completed the first Bitcoin transaction, a guy by the name of Hal Finney. But he died in 2014 so he is not telling. It is a giant internet mystery. Whomever Nakamoto is, he is worth about $4.3 billion because of all the bitcoins he has. Every cyber security geek on the planet should embrace this book. It has everything that we like: Metaverse hacking, real-world swordplay, awesome weapons, and—to cap it all off—the loser hacker ends up with the girl. Stephenson is a cyber geek of the first order, and his personality is all over this story. His description of the “Metaverse” and the “avatars” that live in it, both terms he made famous in this book, are so prescient that anybody playing World of Warcraft or Second Life today would feel right at home. It is canon and written by an author who truly understands the hacker culture. And if that is not a good enough recommendation for you, Time Magazine included Snow Crash in a list of 100 novels everyone must read. You should have read this by now. When I started Terebrate back in January 2010, I always intended it to be a place to put my book reviews on whatever I was reading. Since then, a lot has happened in my professional life. I changed jobs, twice. I presented my collection of cybersecurity book reviews at the annual RSA Conference and suggested that the cybersecurity community ought to have a list of books that we all should have read by now. My current employer, Palo Alto Networks, liked the idea so much that they decided to sponsor it. We ended up creating the the Rock and Roll Hall of Fame for cybersecurity books. We formed a committee of cybersecurity experts from journalists, CISOs, researchers and marketing people who were all passionate about reading. My collection became the the candidate list and for the past two years, the committee, with the help of community voting, has selected books from the candidate list to be inducted into something we are calling the Cybersecurity Canon. It has been very exciting.